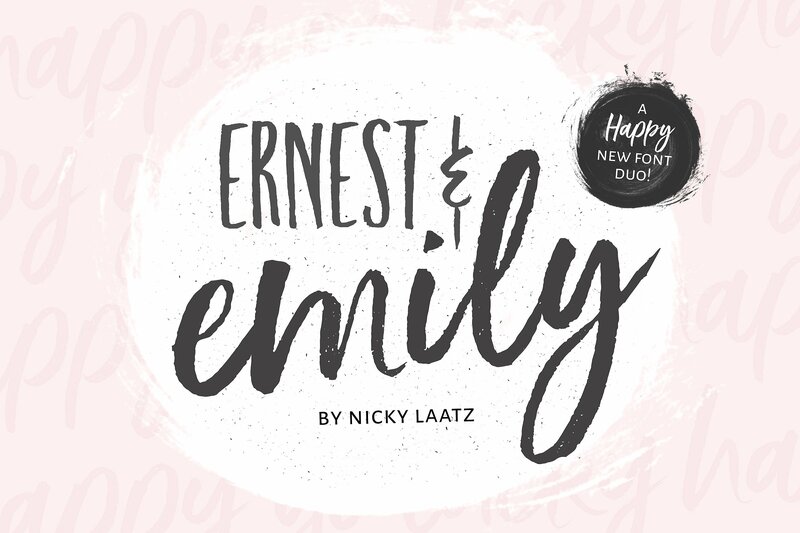 Ernest & Emily is another handwritten duo font pair created and published by Nicky Laatz, a renown Australian type designer. Featuring a casual attitude with brush style, Ernest & Emily comes with fours styles (regular, caps, slanted and upright), a full set of lowercase alternate letters, multilingual support, as well as natural looking double letter ligatures. Meet Ernest & Emily! A font description published on Wednesday, August 30th, 2017 in Fonts, Nicky Laatz by Andrei that has 3,418 views.